This summer I went to my college reunion and noted that 100% of the classmates I spoke with had participated in one or more extracurricular activities in high school. Every single person I spoke to credited those experiences with playing a role in their success, whether they were a magazine editor, an economist, or a stay-at-home home dad. Most of Boosterland’s readers will have a few reasons why they think extracurriculars are crucial for development. I’d like to compile them here as food for thought, and fodder for discussions in school districts across the country. As school cuts continue to assail extracurricular budgets, it’s important to remind supporters why our activities are so important for the future of young people. Life isn’t fair—Equipment fails, injuries happen, referees make mistakes, and weather is whimsical. Maintain your composure no matter what. Trust your teammates—Just because they miss a pass once doesn’t mean you should Bogart the ball. Earn your teammates’ trust—When you put as much effort into the pass as into the shot, you earn people’s trust. 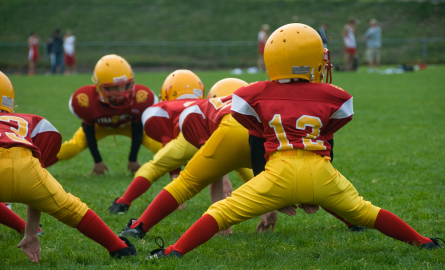 Spread out—As players progress from mites, they learn to spread out over the field. They unclump, making their team more productive and harder to defend against. Synergy breeds success—Teams work best not only with complementary skills, but practice weaving those skill sets together. Lose Gracefully—If the biggest test of life is a hard loss (see #1), the biggest success is a smile and a handshake. Win Gracefully—Ask any lawyer or businessman how often they speak with their adversaries as colleagues. You need to stay on good terms with everyone because you might work with them some day. Celebrate improvements—Good teams recognize successes and teach us to laud them in our own lives. Practice/train—Of course to get to those improvements, you have to practice. But unlike becoming a doctor, you can see the benefits of your practicing very quickly. Have fun—Playing sports is a break from the dull things in life: taxes, traffic jams and jury duty. Playing sports helps us practice having fun. Take risk—You can’t learn to hockey stop without falling over, tackle an opponent without getting dirty, or steal a base without the possibility of getting caught. It is good to develop a sense of what is reasonable risk. Reduce/mitigate risk—At the same time, sports show the dangers of allowing risk: shots on goal, or passes through opposing players’ lanes. Reducing opportunities for the opponent come naturally, and translate into daily life. Recognize patterns – Learn to identify what scenarios will repeat and therefore warrant practiced responses. Have a strong bench—Good coaches, like good managers, pay attention to rising players. They nurture talent and prepare to replace senior players as they move on in life or move down in the standings. Anticipate— “Don’t skate to where the puck is, skate to where it will be,” is useful advice in sports and in life. That quote is often attributed to Wayne Gretzky. Play to your strengths – While it is important to practice to improve on your weakenesses, learn to steer the situation to one where you can leverage your strengths. Listen to your coach—In most sports it’s easy to see that when you incorporate feedback from your mentors, you improve immensely. Be creative—Rules in sports are like a canvas; they give form to creativity in technique. It’s that kind of creativity that leads to head dribbling in soccer and other innovations. Use new technology—Sports technology advances steadily, and most of us get to experience a major shift in a sport that we know well. It’s a primer for understanding such transitions. Cross train—Round out your skills in one sport by delving into another. For example, skiing, ice hockey, and rollerblading reinforce each other. Beat talent with teamwork—Outperform a heroic star with tactics, double teaming, playing zone, etc. Consistency counts—Showing up for practice, games, and team events supports endurance, conditioning, and mental preparation for the big event. 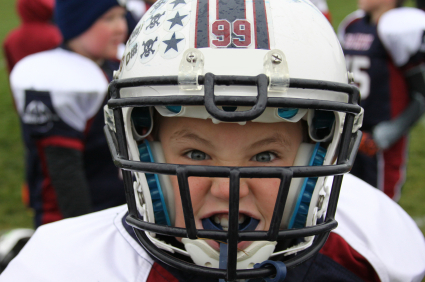 Play to the whistle—Hustling isn’t just about sweat; it’s also mental. You may lose more by stopping for a foul no one else saw. Look up and communicate—No one succeeds on the field fixating on a single blade of grass. Gain perspective and look around you. It’s the only way to see others and communicate the play you want to make. Strong communication skills are important for most things in life. Belonging and community—Both are built by shared experience. Don’t try to master everything at once—Basic skills, once mastered, allow athletes to cruise through the mechanics of a game on auto pilot. Once those skills come naturally, athletes can focus on strategy and advanced tactics. Push your body, but respect it—Hopefully students don’t have to learn this the hard way, but sports teaches you to respect your bodies, especially when it is injured. 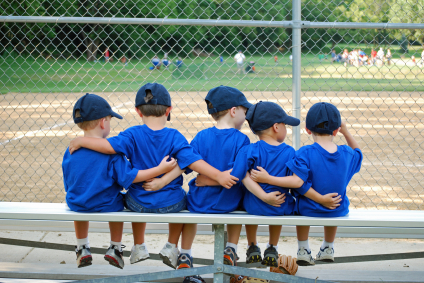 What life lessons have you gleaned from sports? What do you hope your participants will gain? What will they look back on at their college reunions? How can your booster club facilitate this type of experience? Let me know in the comments or via our info page.